The first step in treading a new path with the Citrine Eagle, the Snowcaps is a term for a novice member of the Citrine Eagle, fresh, and green. A Snowcap enjoys the opportunity to explore each of the unique paths the Citrine Eagle has to offer its members for their enrichment; The Icewing Brigade, Aerie Association, the Order of Hath’s Stand, or partisanship. Once these new members have proven themselves worthy in the Citrine Eagle through dedicated service, and exemplary behavior, they are inducted into the Stormtalon Confederation, and may join one of the paths the Order has to offer. The Stormtalon Confederation is a military union between the Stormpike Guard and the Citrine Eagle. 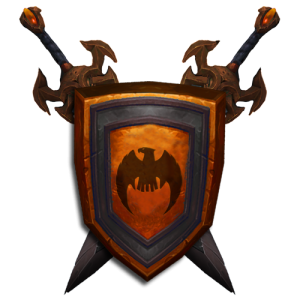 Born out of necessity of the war with the Horde, the Stormtalon Confederation stands at the defense of members of the Alliance in the Alterac Mountains to further the sovereign imperative of the Stormpike Guard. The Confederation has set a standard for Citrine Eagle rankings that place each of the major paths on an even playing field. 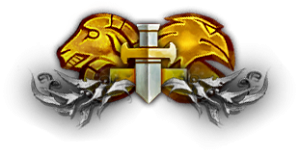 After taking on one of the three paths of the Citrine Eagle, or pursue partisanship, a member will receive a Stormtalon Badge. A Stormtalon Badge is representative of general rank within the Citrine Eagle. 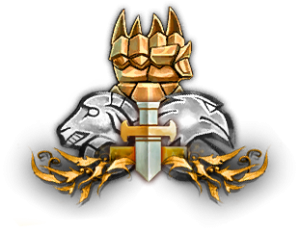 These badges coordinate with ranks in the Stormpike Guard, those being the following: Private, Corporal, Sergeant, Lieutenant, Captain, and Commander. Note: They are uniquely named and defined within each path in the Citrine Eagle, but serve the same purpose in the greater scope of the Order. 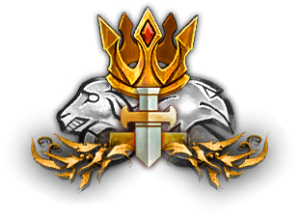 Each of the three paths offers a distinct approach to ascend through the ranks to earn these badges. They grant authority on the battlefield, and while on-duty. They also include special privileges and responsibilities in addition to those earned in the member’s chosen path. The authority granted is inter-divisional. Able to wear Citrine Eagle colors. May assist Snowcaps and help answer any questions they have. Participate in guild role play events. May be enlisted into subdivisions. By joining a division, a member of the Citrine Eagle has proven themselves worthy enough to stand beside the Citrine Eagle, and the Stormpike Guard. The second Stormtalon badge coincides with the Corporal rank in the Stormpike guard. This is a junior non-commissioned officer rank. Able to wear Stormpike Guard colors. May correct behavior of lower ranking members. More likely to be chosen for specialized missions. Provide guidance to lower ranking members. May submit Task Board missions, and lead them with permission from a Commander. 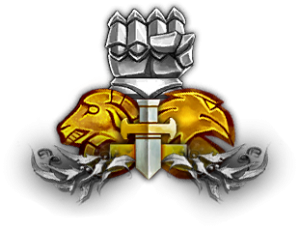 The third Stormtalon badge is the equivalent to the Sergeant rank in the Stormpike guard, and the Stormpike Badge: Rank III. This is the last rank for enlisted men, and is a non-commissioned officer rank. Further promotions are considered commissioned officer positions within the respective division. May lead missions without explicit permission. Handle infringements of lower ranking members. May dispense physical training as punishment to lower ranks. May organize and host training events for their combat specialty. 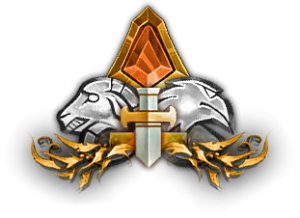 For continued efforts, the Eagle earns honors among the Citrine Eagle, and Stormpike Expedition. The fourth rank — equivalent to the Lieutenant position in the Stormpike Guard. 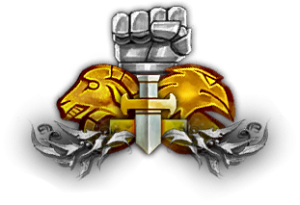 For the Citrine Eagle, this is a junior officer rank. May arrest and detain unruly members to be delivered to the Warden. Implement officer orders on the battlefield. More likely to be appointed to general specialty divisions in Talongrab. (Quartermaster, Warden, Armorer, Court Scribe, Skald). More likely to be appointed as a liaison on behalf of the Citrine Eagle on external and foreign matters. Able to handle in-character conflicts. Talonguard are the fifth-ranked which correlate with the captain position in the Stormpike guard. they are assigned special duties and tasks based on the command of their division. if the commander of a division is not present the authority and power of that division defers to them. May assist with interviewing new recruits. The Vanguard consists of the commanders of each division. they are assigned the duty of tending to their respective division to ensure its members are properly situated. when present they take command on the battlefield and direct operations pertinent to the protection of Alterac. They possess all of the Privileges and responsibilities of every lower rank, and their power is entrusted to them by the Matriarch of the Citrine Eagle. Brave defenders of the meek and innocent, and the arbiters of faith and honor. 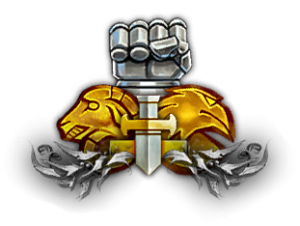 The Order of Hath’s Stand is a holy order that consists of the Silver Hand Chapter of Alterac, and the Clerics of Eagle’s Perch who have devoted themselves to the preservation of the legacy of veterans of the Second War, and the Alterac hero General Hath. They help preserve the memorial of Hath’s Stand, to protect the spirits of the fallen who remained devoted to the Alliance of Lordaeron, all the while seeking out greater purpose in the Light’s call in their own quests of self-betterment and spiritual enlightenment. The Aerie Association is the home for the studious, curious, and magically inclined who wish to not only read about the mysteries of Azeroth in an old tome but seek the thrill of adventure in chasing answers as well. The Association is meant for those seeking out new knowledge in magical studies — whether they are a Neophyte looking to learn the basics of magic, or a seasoned caster looking into greater powers. The Icewing Brigade is the Citrine Eagle’s most powerful asset in the war against the Horde. They are are the defenders of the homefront in Alterac, and stand as the first line of defense in the name of the people of Talongrab. 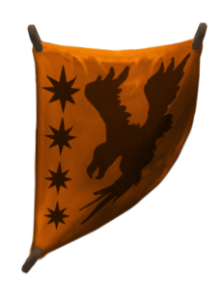 In doing so, they also represent the Citrine Eagle’s closest ties to the Alliance military from the south. They host any capable fighters, and crafty combatants to better protect and serve the pioneers of Alterac. A partisan of the Citrine Eagle is an avid supporter of the Order’s cause and purpose in the Alterac Mountains. From the civilians looking to contribute what they can to the war effort, to the tactician and ambassador that represents the order outside of the three major pillars of the Order. 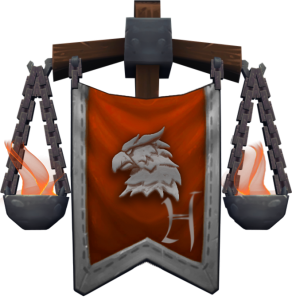 A partisan enjoys the same growth and upward development as the rest of the order, and it is by their choice how they serve the people of Talongrab, and Alterac by working closely with the Eagles, and Stormpike Guard. The Covert Alliance Warhawks (acronym C.A.W.) are a group of militants devoted to the Grand Alliance, and act as a counter-offensive group against the Horde in the Northlands. Presently the group works to secure alliances with the various factions in the North through mutual protection between themselves, and factions like the League of Arathor. After troop motions within the Alterac Mountains by the Forsaken, the Warhawks aim to push the Horde from the mountains to prevent them from raising another stronghold. The Warhawks are the first on the field when a crisis arises in the ever-going battle against the Horde. At home, and abroad, they are under the High King’s service to protect the Alliance and help dismantle the Horde whenever the call is sounded. The first line of salvation for the wounded, harmed and ill; Citrine Medical is a division tailored for all proficient in all styles of healing. On the front lines, the members of Citrine Medical work together in order to aid the members of the Order who are not so lucky and find themselves being harmed in the line of fire. Under the direction of their Chief, Citrine Medical dispenses healing in a quick and efficient manner. Away from the field of battle, Citrine Medical houses its day-to-day operations within the infirmary of Talongrab Keep, where they aid the long term wounded, terminally ill, and those in need of medical attention. Citrine Medical operates as the main, and universal source of healing in the ranks of the Citrine Eagle. A person who concentrates primarily on a particular subject or activity, or highly skilled in a specific or restricted field. Since time began the Battlefield has seen a necessity for Specialists and those with unique skills to utilize properly within the war-zone. As such, Specialists are able to express their unique abilities in the field, as well as advising others that are inexperienced in such fields. Specialists are unique to any Cadre, Unit, or Order as they can bring abilities to the table that require delicate and precise hands. Combat Engineers, Sappers, Mine-Layers, Vehicle Operators, Artillerymen, Signalmen, as well as Construction Workers. This brief and small outline will showcase many unique duties that the Specialist Subdivision should encapsulate, as well as unique players that would find their skills well put to use in the subdivision rather than being regulated. Allowing them to have a more unique identity and comfortable space to enjoy their skills. Ready to be an Eagle? 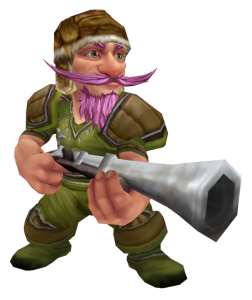 We have much to offer all players regardless of experience, and we look forward to meeting you on Azeroth.